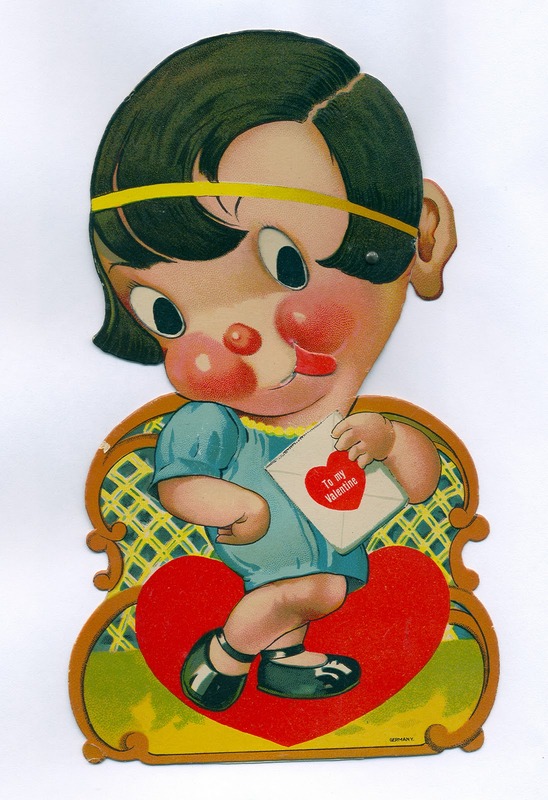 I found this big, 8 1/4 inch German made valentine at a toy show a couple of weeks ago. Circa the 1920s, it features a great caricature of a girl with a sleek bobbed hairdo and a freakishly gigantic ear. The ear slides up and down, making her tongue move, appearing to seal her valentine's envelope. I wonder why they included that ear.